It may have been a foregone conclusion. But The CW has made it official. Via Deadline, all of DC’s Arrowverse superhero series have been renewed. The flagship series, Arrow, will head into its eighth season this fall. Its first spinoff, The Flash, will race into its sixth season. Supergirl’s fifth season will mark its fourth year on the network. DC’s Legends of Tomorrow will also be back for a fifth season. Although Black Lightning isn’t technically a part of the Arrowverse, it also scored a renewal for its third season. A series order for Batwoman is still a strong possibility as well. Potentially, all of those series could take part in the upcoming Crisis on Infinite Earths crossover. Additionally, Supernatural will return for its fifteenth season. Freshmen genre series Charmed and Legacies were also renewed for second season. 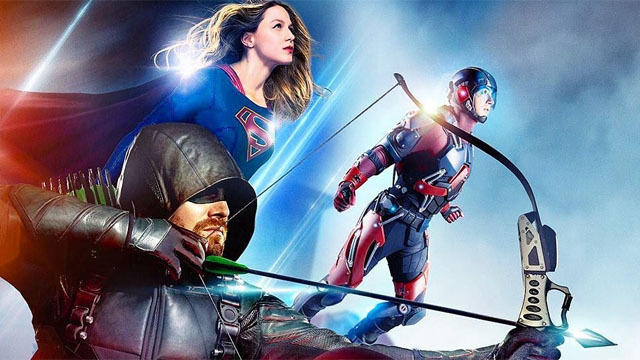 Are you excited that Arrow and it’s related superhero shows are coming back next season? Let us know in the comment section below!